A dense, thorny, upright evergreen shrub. 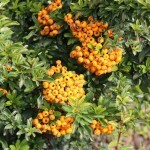 White flowers in the spring are followed by profuse orange berries in summer. 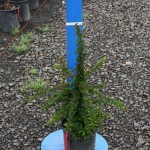 This selection is resistant to fireblight, scab, and drought. The foliage is a dark, glossy green. 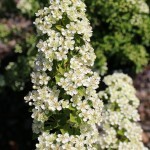 It prefers full sun to part shade in a rich, well-drained soil. Can be trained or pruned if desired.